CY90: 2-Hillside 0.32 Acre Lots in Better in Belize Eco Village, Community Garden view in Vaca area, Cayo! Cayo real estate! Land for sale in Cayo! Buy in Cayo Belize! 2-Hillside 0.32 Acre Lots with gorgeous views of the Community Garden amidst gorgeous natural settings in Vaca area, Cayo! Cayo District is filled with natural beauty, flora and fauna and the home of the Maya Mountains! Cayo District has many hidden places that have not been developed yet, making these areas pristine and precious eco-systems. If you are looking to escape from it all or you want to reconnect with yourself and nature; this would be an ideal place to start looking. 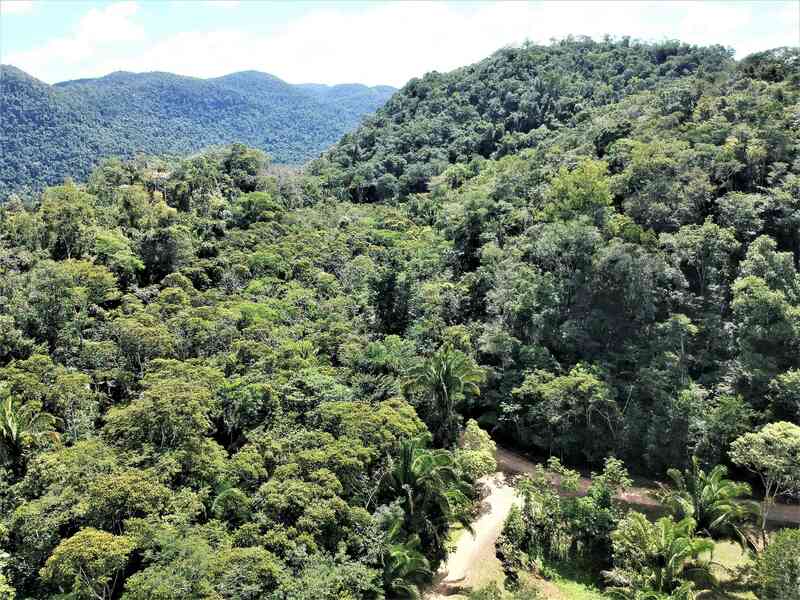 2 lots each consisting of 0.32 acre hillside lots situated in one of the best master planned Eco-friendly and Eco-Green Community of Better in Belize nestled in the Vaca Area with breath-taking, panoramic views of the Karst Mountains and accessible to the famous Vaca Lake. The entire area enjoys abundance of wildlife, including troops of Howler Monkeys and Spider Monkeys, Gibnut, Aguiti, Kinkajous, Jaguar, Tapir and huge variety of birds for the Bird Lovers throughout the area. Lots 44 and 45 sit along in the area known as the Mayan Circle. The lots extend uphill bordering a “green area” being the crown of the hill, which holds a Mayan ruin that is not yet been excavated. The lots overlook the community garden which is for all community members to enjoy. A plan for a community center is in the near future. The lots are o a slope from which one can get some great views of the area. There are numerous homes already built in the development with various residents and some houses are rented also through Air B and B. The Bylaws allow for your own building plans with some restrictions on seize depending on the lot size. The entire development has good gravel roads. A 4×4 is necessary in some areas in the community but it is not necessary to aces these lots. According to Google Earth the area is over 1,000 feet elevation above sea level and with combination of pristine jungle makes the area to be 6-8 degrees than in town! The community is completely off grid which means all home owners have solar system in place, collect rain water in cisterns and have septic system. Recycling and composting is encouraged. Better in Belize is situated some 10.9 miles from Benque Viejo Del Carmen in Western Belize! It takes roughly about 30 minute drive on all weather road. The road is passable by taxi but vehicle with higher clearance is desirable. Pontoon tours on Vaca Lake with access to 3 beautiful waterfalls, a beach that you can get to by kayak, horseback riding, cave tours, bird watching and hiking are on the premises or close by. You can access the lake from the property. Every where you look you can enjoy the scenery, the abundance of flora and Fauna. The famous Mayan Ruin of Xunntunich is only 35 minutes away. Shopping for groceries and large hardware store, banking, medical facility, schools, are located in Benque Viejo Del Carmen, Cayo. The majority of the road is in good condition with some rough spots here and there but with no major issues. One drives through some gorgeous picturesque properties, hills and estates. These lots (44 & 45) are ideal for a retirement home or even an investment for rental in Air B & B. Belize is known for its Eco-tourism and this area would be the pinnacle of Eco-tourism. Buy one or get both lots with a discount. Both lots are under the developer’s asking prices of the few remaining lots on the market. The lots are about 80% sold out! Owner is motivated to sell, book a tour or make an offer! << CY89: Home with Guest Cabin on 1.66 Acres Bullett Tree Falls, Cayo Cayo home for sale! Cayo real estate! Home for sale in Bullett Tree! Retirement Property in Cayo District!